Irie (I-rie \I ‘ -ree) is a word in Jamaican Patois, commonly used by members of the Rastafari movement, that can mean // 1: powerful and pleasing // 2: excellent, highest // 3: the state of feeling great. What does this have to do with Dubophonic? Well, first of all, the music we release is full of irieness. But also "Irie" is the word that introduced us to one of the most interesting new projects of 2014. You already know that things are always evolving here at our headquarters, always trying to involve more and more people in our dubophonic family. In our effort to spread the conscious vibes to as many people as people, we have completed a brand new collaboration, giving to all dubophonic family one more way to spread their vibes. 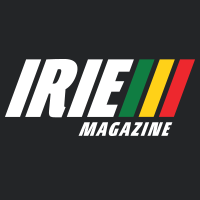 It goes by the name of Irie Mag and it is a new digital reggae magazine that redefines the definition of Roots, Rock, Reggae and Respect! Founded by Nicolas Da Silva, the magazine's thematic concentrates on roots and culture, presenting not only articles on music and bands, but also much deeper topics. The first issue, a massive one (87 pages), is out now and can be downloaded for free. It includes among others an article on Marcus Garvey, a discussion with Hubert Devonish (professor a the University of West Indies) & his fight to recognize Jamaican Patois as a Language and an interview with the legendary group Third World. The mag is enriched with articles on many rising new artists, photos and other valuable information on the roots and culture scene. Of course a digital magazine would not be complete without music. And here is where Irie Trax comes into play. The music side of Irie Mag is a showcase of the best in reggae music in a plethora of genres from talented artists from all around the world. It is all about giving reggae artists a chance for their music to be heard by the masses. 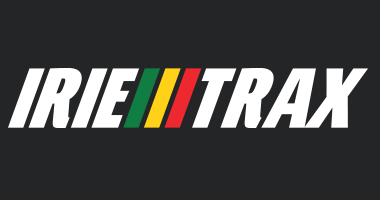 Every other month, Irie Trax releases a new download compilation featuring twelve tracks from new or established reggae artists. Each issue is free to download, so that everyone can share the vibes and experience these amazing artists. It's all about unity and mutual support. So keep on spreading the positive vibes. Perhaps the most interesting twist, is an open call to submit your own dubplates on a riddim made by Doobie Sound. Every month a new riddim will be ready for download. A very fresh and engaging idea indeed. And since we don't like to keep any secrets from you, the best ones will be included on a future compilation on our netlabel. BOOOOM!